My mind is running a mile a minute as I try to start this post. Where do I start? “Let’s start at the beginning/A very good place to start.” But what’s the beginning? Okay. Breathe. Do you know who Alton Brown is? If you don’t, here’s a YouTube video of his show, Good Eats, and here’s a link to his website. All caught up now? Good. Alton Brown is my culinary hero. He taught me how to make a beautiful omelet. He’s on every weekend night at 11 P.M. And I stay up to watch him every weekend. I never miss Alton Brown. His half hour show is the most relaxed I feel all day and all night. He relaxes me as much as Elsie does. 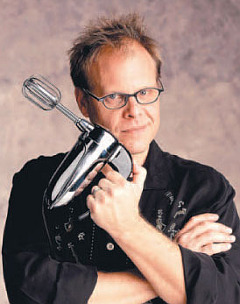 I looooove Alton Brown. He wasn’t on Monday. Luckily, I was tired enough that I just went to bed without him. I was upset. I admit, I cried a tiny bit as I got panicky, but I dealt with it and went to bed and was okay by the next morning, though I hadn’t forgotten. How dare Food Network deprive me of my Alton Brown? I could forgive them once. But then, last night, he wasn’t on again. I had been feeling anxious throughout the evening and was desperately waiting for Alton Brown to come on. But he didn’t. Really, Food Network? What’s going on here? When I saw that he wasn’t going to be on, I halted mine and Leigh’s conversation dead in its tracks and wailed. “Alton Brown isn’t on!!!!! I’m going to melt down!” I could feel it building. No answer. Leigh emailed me about some Bible verses I had asked her about earlier and I said, “Alton Brown!!!! I can’t think about that when Alton Brown isn’t on!” She reminded me that I could watch him on YouTube, so I did that. But that only sort of fixed the problem. He’s supposed to be on T.V. every night at 11. Every night. Leigh said that it was okay that he wasn’t on T.V. tonight. She said that I need to think about things I can control, not things that I can’t. I asked her what I can control. She suggested that I can control what I do for a half hour every night. I thought about that. My favorite thing to do from 11-11:30 is to watch Alton Brown, but that doesn’t mean that I have to do that. I can watch something else on T.V. or do something else altogether, like read, or write, or paint-by-numbers that I like so much. I can choose what I do every night for that half hour. My favorite thing to do is still to watch Alton Brown, but last night I chose to watch Worst Cooks in America and Facebook with Kate and email with Leigh. It’s up to me, what I do, not up to the T.V. I decided that this was just a little deal, not a big deal. I tend to get really hung up on my routines. This reminded me of that day the mail didn’t come and I fell apart. My routines are comforting, until they’re disrupted. Then, they’re binding. I don’t want to be bound by my routines. I have to change my thinking from single paths to forks in the road. I have a very visual kind of brain, and I think of everything in pictures like that. When I think “11 P.M.,” I think Alton Brown. When I think “3 P.M.,” I think get the mail. Instead, I need to think maybe Alton, maybe something else. Maybe mail, or if there’s no mail that day, maybe something else. I need to make my brain think in terms of forks in the road that go to different options, instead of thinking of a single point at those times. So, glad this is getting cleared up. However, I already checked, and my buddy Alton Brown is back on tonight at 11. Thank goodness. Hate to break it to you, but Alton Brown’s show, “Good Eats” has recently been cancelled by Food Network. From what I’ve heard, this was Alton’s decision. He didn’t want to do the show anymore. But you can still watch videos of old episodes on YouTube and you can still see him as a commentator on Iron Chef America. Count me among the people who are obsessed with Alton Brown. He is quite amazing. @misslei11@xanga – Oh. Okay. Sorry. I just was really confused. I spent like 5 minutes reading each line over to see where autism came into it. lol. 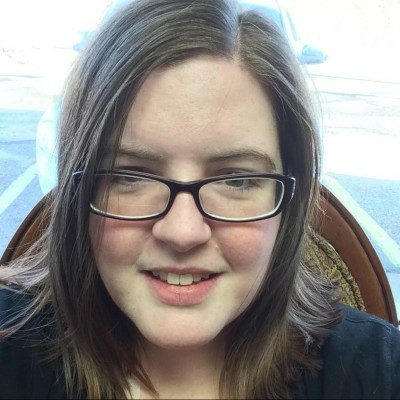 So are you high functioning autism or Aspergers? Oh wow, this was great. At first, I though, “Oh, no. Something happened to Alton Brown.” Then, I actually read it. Why is this on Autisable? For the nights he isnt on television, he is on hulu.com! Alton Brown is indeed a culinary genius! You sound like my little brother, haha. He’s practically in love with Alton Brown. This is a wonderful article! I think it really puts into words exactly what it’s like for a person with autism to face the struggles that a schedule can put on themselves.